I've really been pushing the envelop! The next wool quilting UFO I tackled didn't have much done. Some of the pieces, two trees and snowmen, were cut out as well as the background. I rolled up my sleeves and begin working on the snowmen, sewing micro buttons, giving them a nose and some eyes. 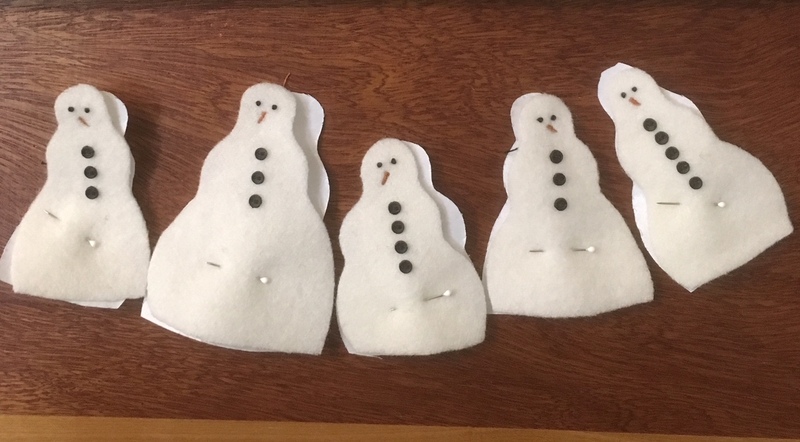 I just love snowmen! 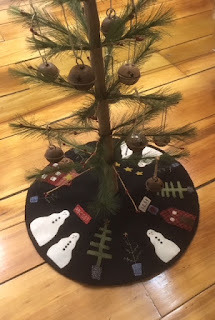 The pattern is called Under the Christmas Tree by Renee Plains (Liberty Star). I just love the way it looks under a tree! I will be doing a tutorial on how I completed this project. 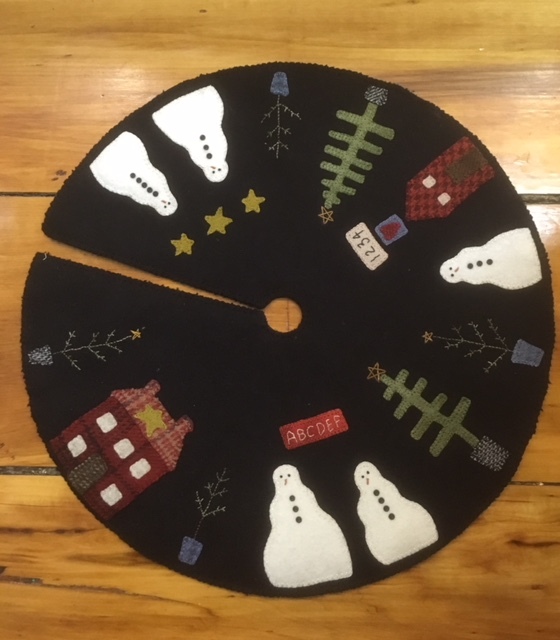 I had to deal with my fear of cutting out a project to become a tree skirt!